These are obviously all great, and helpful, descriptions. But they don’t tell the whole story about a property. There are ways of describing and cataloging your property that go beyond the superficial, and they’re important concepts to get a handle on as you buy or sell a house, a free-standing structure, or even a piece of land. A plat is an officially drawn map of a piece of land, which defines the boundaries between different parcels of property to scale, and notes important other important information – such as marking streets, right of way, flood zones, potential easements, and so on. A survey is the process that is used to create this map, and to ensure that it is as accurate and informative as possible. Generally speaking, a plat of survey is an important piece of the puzzle to deal with when a property is changing hands. In practical terms, it’s part of the mountain of paperwork that you’ll go through as a buyer. In terms of the nuts and bolts? Generally, the seller’s attorney will order the plat as part of the title search and insurance process. Taking a survey of the property helps ensure that the seller has the right to convey the property, and that the seller is fully aware of what they’re buying – boundaries, easements, and all. If there are discrepancies, say, between what the seller’s agent promised in terms of lot size or accessibility, and what the plat reveals, this could be a negotiating chip for buyers and their agents. Similarly, if a plat reveals an easement that hadn’t been known before – such as the site of a future road or right of way – this could be grounds for the buyer to attempt to back down from the purchase. There are other instances where plats prove useful, as well. They’re very relevant for commercial purposes. 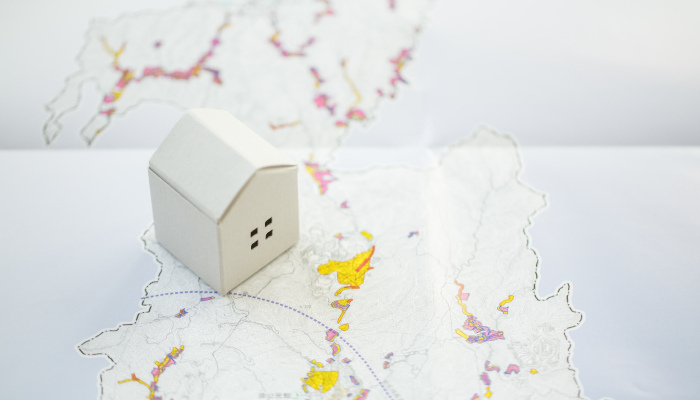 For instance, plats are typically required if you purchase a piece of land, intending to subdivide it into smaller lots for construction or sale. They help designate public roadways and access points, and indicate the location of public utilities for development or renovation purposes. There are many different moving parts to each and every real estate transaction here in the Chicago area. Whether you are a family wanting to buy or build a house, a corporation converting commercial properties to residential, or a developer looking to leave your mark on the city forever, the way in which your paperwork, contracts, and documentation are put together can significantly affect your long-term goals. That’s where the Gunderson Law Firm can step in and help. The attorneys and staff of the Gunderson Law Firm possess unparalleled expertise and insight, reinforced by years of experience and long-term connections throughout Chicago’s real estate, finance, and insurance industries. In fact, our attorneys are also title insurance agents for several of the top title insurance companies in the world. From processing purchase and sale agreements and title paperwork, to helping you get through the zoning boards, historical commissions, licensing boards, easement granters, and more with the right papers in the right places, our team can help you make sure you’ve got all the “i’s” dotted and “t’s” crossed correctly, so that your project can move forward as quickly and smoothly as humanly possible. Don’t hesitate to drop us a line today to get the conversation started.